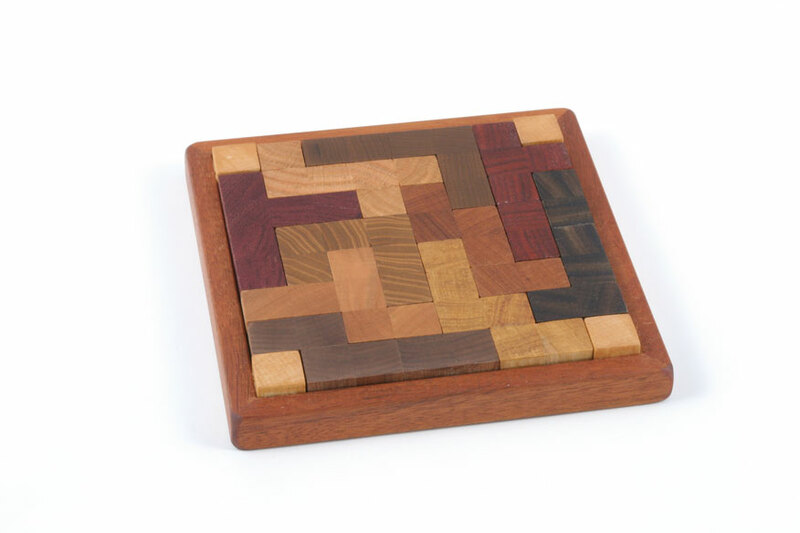 All puzzles are designed and crafted by Stewart Coffin, unless otherwise noted. 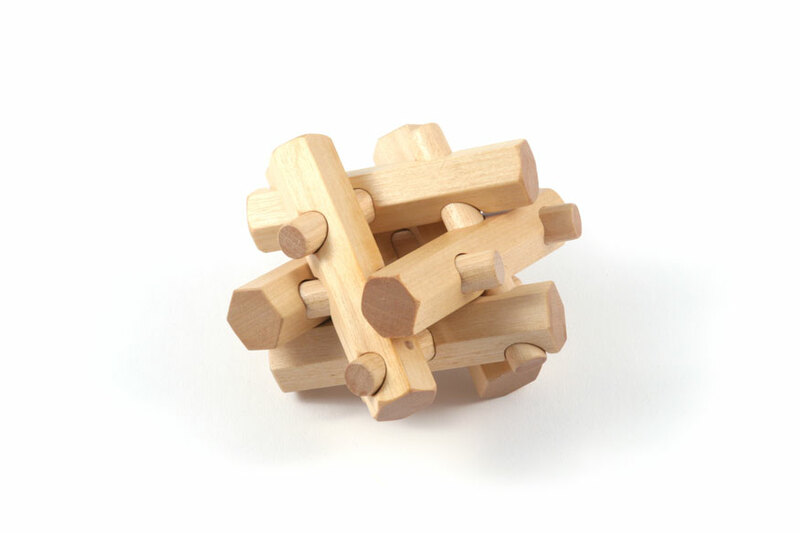 Notes: Six dissimilar pieces; unique assembly. Made from mahogany. Light wear and light dents; light pencil marks at the ends of some pieces. One piece inscribed "S.T.C., 1980". Notes: Ten Hydrastone pieces form a variety of shapes. One piece with very small chip; one with small scratches; otherwise in excellent condition. 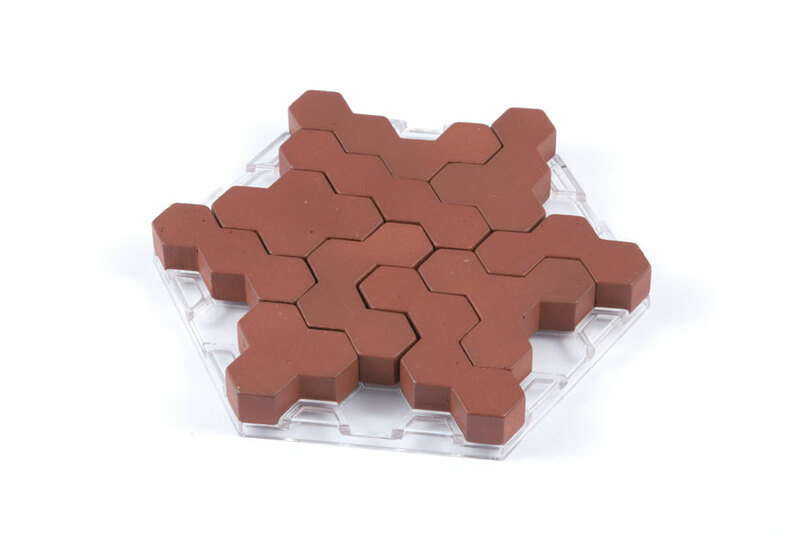 Includes plastic tray and original booklet with diagrams for 30 puzzles. 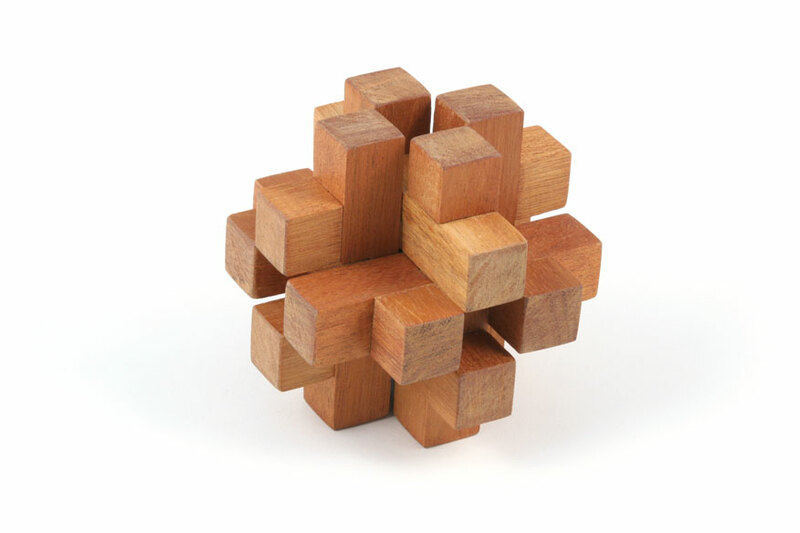 Notes: No two puzzles produced are alike. 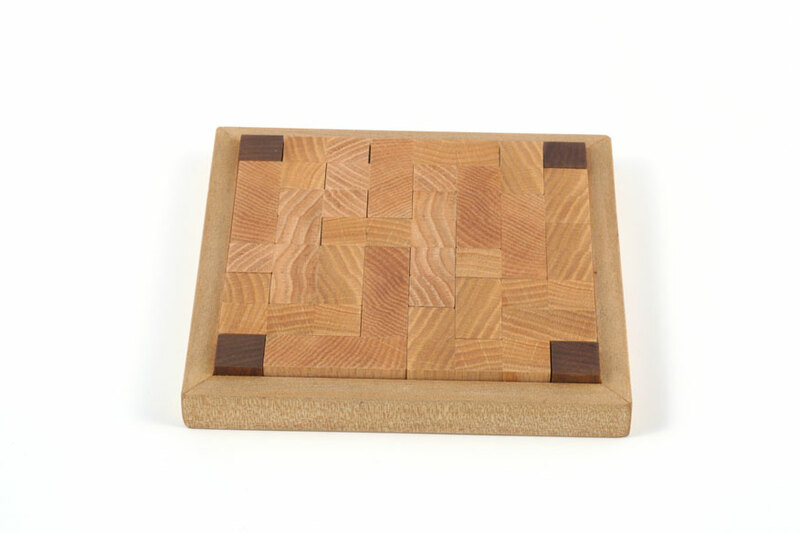 Pieces made from cherry, imbuya, satinwood, mulberry, purpleheart, walnut, mahogany, rosewood, oak, padauk; tray made from maple, mahogany, and holly. Includes original information booklet. Tray inscribed "SPECIAL, 105747,STC,1985". 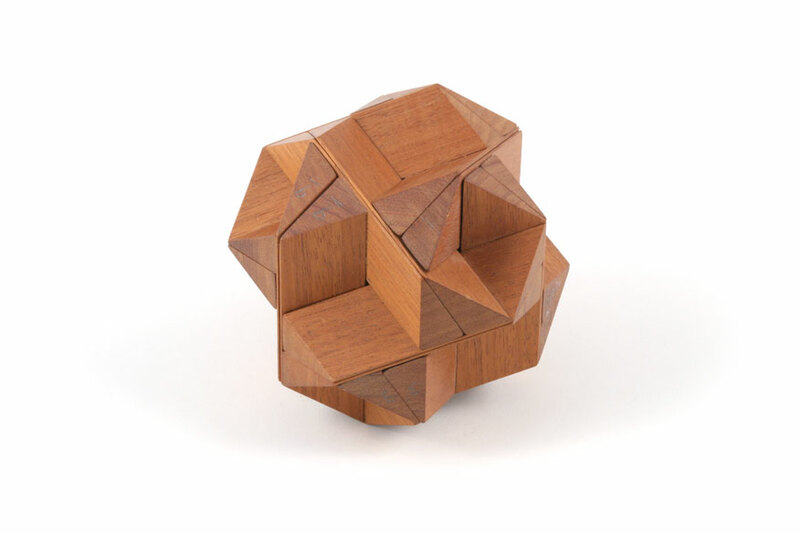 Notes: No two puzzles produced are alike. Pieces made from red oak; corner blocks made from walnut. Tray inscribed "#38,16567" and "#38,STC,1985". Includes information booklet and solution. 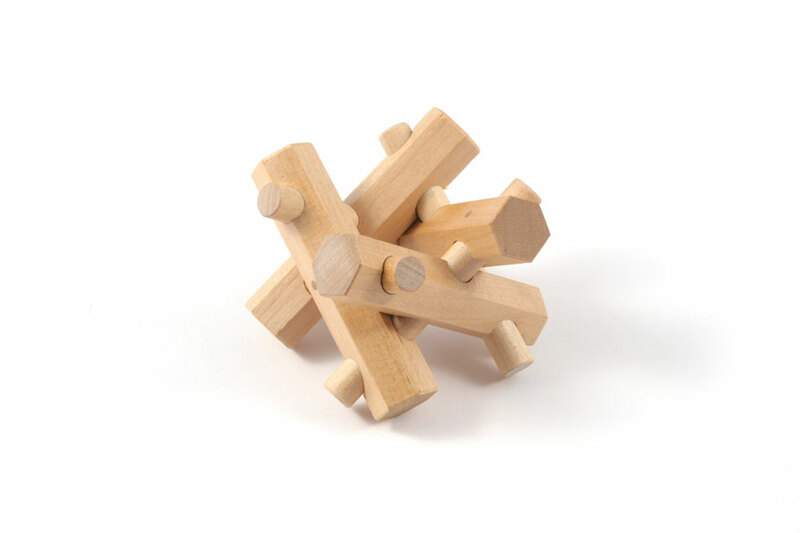 Notes: Six pieces (two hex sticks, two dowels, and two combinations) form a nest. 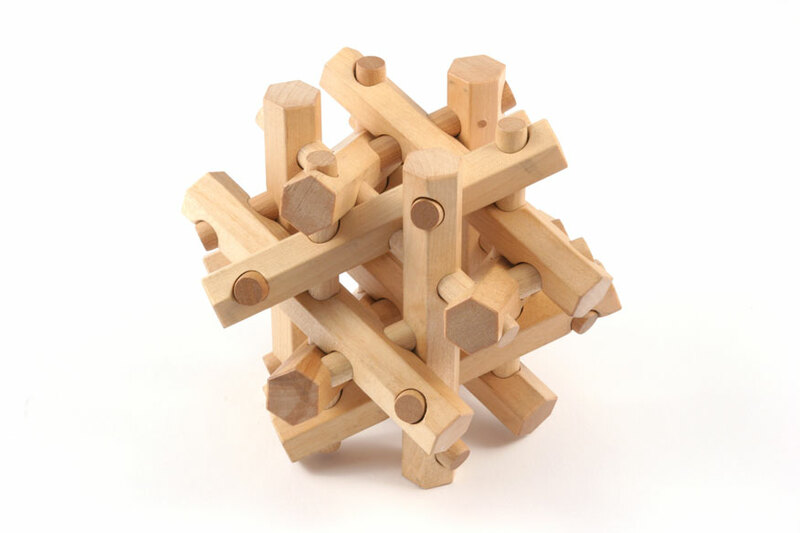 Notes: Seven pieces (including one dowel and one hexagonal rod) form a nest. Made from birch. Notes: More complicated version of Cuckoo Nest (three layers instead of two), also with just one key piece. Made from birch. According to the Compendium, only 10 made. 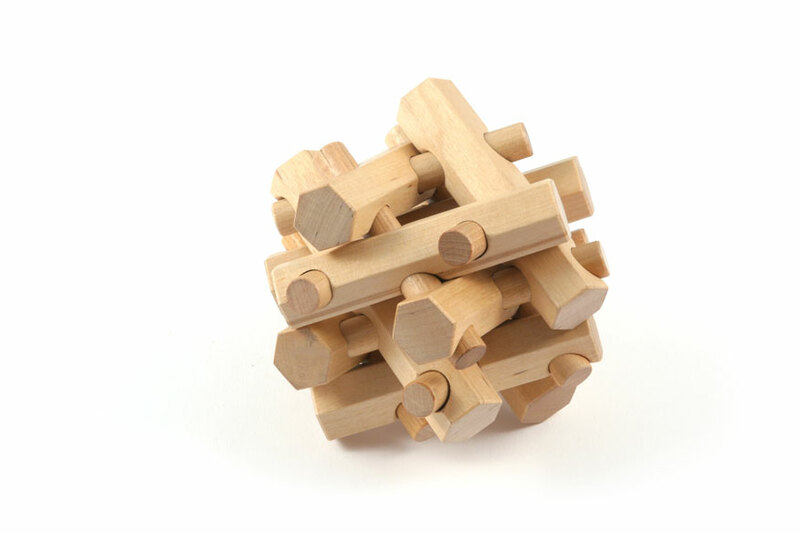 Notes: Nineteen pieces (five elbows, seven dowel, and seven hexagonal rods) form a nest. Crafted in birch. Notes: 12-piece Altekruse, slanted in three dimensions. The sticks are a unit longer than the original. Includes original instructions for Confessional and supplement for the elongated sticks. One piece inscribed "68-B,STC,1995".